Online courses have opened up opportunities for so many people who struggle to earn a degree in a traditional setting. Whether it’s because of full time work, kids, a medical condition, geographic location, or any other reason, traditional in person courses are sometimes very inconvenient and difficult to schedule and attend. There is a learning curve to online courses though, as they are often structured and run very differently than traditional courses. 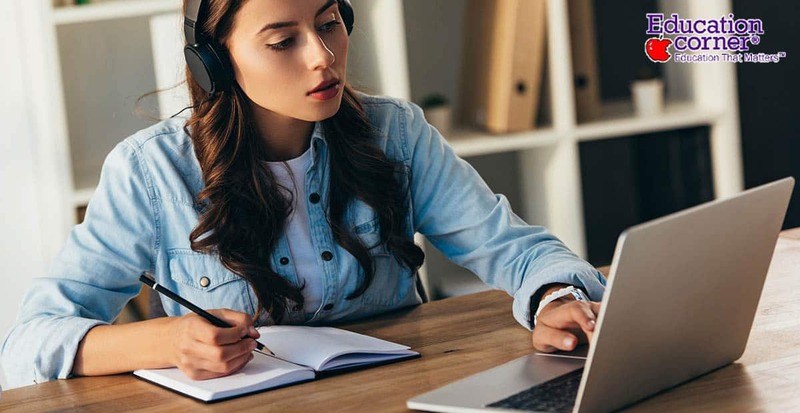 If you’re just getting started with online courses, or if you’ve taken a few but are finding yourself struggling, these study and learning strategies will help you find success in your education. Before you begin to take online courses, do some research on the courses and how they are structured. You can do research about courses by reading course descriptions, talking to students who already took the course, and emailing the professor. It’s much better to go into a course knowing the general expectations. There is a very wide variety of types of online courses; if you know the type of course that works best for you, you can pursue those courses to facilitate your learning. Some online courses require students to be extremely independent. The professor or teacher may simply post what needs to be done, when it needs to be done by, and then leave it up to the student to complete the tasks. If you struggle with being an independent student, a course like this is probably not for you. If you rely on your teacher to constantly remind you of when things are due and to keep you on task during class, you will likely struggle with this type of online course. On the other end of the spectrum, some courses require you to be very involved at regular intervals, sometimes even requiring discussion posts be submitted every single day, regular interaction with classmates, and periodic check-ins with the professor. In some cases, students need video chat with professors and/or classmates. This is helpful for students who struggle to be independent learners, but can be frustrating and difficult for students who have other obligations or are completing their coursework at odd hours. For example, if you are currently living abroad, it would be very difficult to find a suitable time to video chat your classmates. Or maybe you’re working a full time job and aren’t able to log into the course every single day; this would prove troublesome for very involved courses. This type of interaction is also very difficult for some people. Many students choose online classes, so they don’t have to go out and interact with people. Researching courses beforehand can also help you determine if you have the right software and technology required to complete the course; you may need a certain internet speed, a webcam, photo or video editing software, etc. You don’t want to get halfway through a class only to find out you need to buy Photoshop. Knowing about requirements like these ahead of time can help you avoid classes that don’t match with your learning expectations, or it can give you time to prepare if you do go ahead with the course. As discussed above, every online course is different, and it can become confusing and overwhelming when you’re trying to keep track of everything, especially when you’re taking multiple online classes at a time. For example, Class A wants assignments submitted via the course management system, and they are always due at midnight; Class B wants assignments submitted via Google Drive, and they are always due at 8 am. Instructor A wants to be contacted via the course messenger; Instructor B wants to be contacted via email. If you don’t keep track of all of this, you may end up doing things incorrectly, which is an inconvenience at best, and a potential loss in points at worst. At the beginning of the semester, create a master chart or list with all the expectations and information about each course, so you will be less likely to make mistakes. Learning isn’t all about the assessment, and ideally you should be leaning to gain knowledge, and not just to get a good grade. However, assessment is inevitable, and it can vary widely in online courses. By tailoring your learning to the way you will be assessed, you can be more efficient and effective in your learning. Will you be assessed primarily through your writing? In this case, it can be helpful to make note of quotes and passages as you read course materials that will help support your writing. Doing this when you first encounter the material will save you time when you go back to write. Will you be assessed with online tests or quizzes? If this is the case, try to take notes on everything you learn and highlight course materials so it’s easy to look back at the key information. Will you be assessed in a testing center? If this is the case, you will not be able to use any of your notes or materials, so you will need to memorize and study in the more traditional way you do for in person courses. These are only a few of the common ways students are assessed in online courses. Whatever the assessment style, take some time at the beginning of the course to plan out how you will approach the course material based on how you will be asked to use the material in assessments. This will help you be better prepared for assessments. This is much easier said than done. We all procrastinate to some degree, but it’s something you need to keep in check when you’re taking online courses. A study called Procrastination, participation, and performance in online learning environments for the University of Rennes 2 in France found a relationship between procrastination and poor performance in online courses. Specifically, researchers found that students who procrastinated participated less in course discussion forums, which then led to lower grades. Online courses require you to be very independent, and this can be a recipe for disaster if you’re a professional procrastinator. Even if you try to break your work up and set deadlines for yourself, it’s really easy to dismiss them because you know they’re arbitrary. It’s also easy for chronic procrastinators to tell themselves “it’s just one discussion post,” but missing post after post adds up quickly. Procrastination can be costly in online courses as well because of the possibility of running into technical difficulties. If you wait until the last minute to submit an assignment and then something doesn’t work, you could lose points for turning the assignment in late. You also won’t have time to ask any questions and get a response from the professor if you procrastinate. You can’t expect your professor to be waiting at their computer 24/7 in case you have a question. They aren’t immediately available to you like they are in a traditional class, so aim to work on things early, so you have time to ask questions and get clarification on assignments. It can be extremely tempting to just go through the motions in an online class. It’s easy to skim through reading material or try to multitask while watching lectures and modules because nobody is there to keep you on task like there would be in a traditional classroom. This can set you up for failure very quickly; you can’t assume the class will be a breeze just because it’s online. Many online courses are very rigorous. Give yourself time to put forth the proper effort to learn the material. Use whatever strategies work best for you, just don’t be passive about your education. You’ll learn the most and get the most out of it when you’re an active participant and take your learning into your own hands. Among the challenges of online learning is losing motivation. Since students usually complete online education programs from their homes away from classrooms and fellow classmates, it can be difficult to remain motivated to study. Likewise, because online education programs are non-traditional learning formats, students do not have access to support resources available to those enrolled in traditional programs. Students frequently stay on track and remain motivated because of these support resources. Many students also lose motivation when they do not have the opportunity to interact with fellow students struggling to learn the same course material, and many students completing online education programs have little or no interaction with their peers. Motivation loss can make it extremely difficult, if not impossible, to complete any education program. Unmotivated students struggle completing reading assignments and studying for tests. Motivation is often the driving force that keeps students constantly working hard when subject matter becomes monotonous and boring. Since students must be motivated to successfully complete online education programs, those lacking it will more than likely not successfully complete the program. As a result, unmotivated students enrolled in online programs are better off delaying their education and re-enrolling when they're more motivated. Remain motivated by developing goals and following specific steps to attain them. It is best to set small goals that can be attained. One effective strategy is to write small goals on specific days of a calendar. Once you have achieved the goal, cross the day off on the calendar. Goal achievement is a great way to build self-confidence and remain motivated. Make an effort to communicate with other people enrolled in the same online class as you. Many programs provide students access to message boards where comments and questions can be posted. If possible, exchange e-mails with other people enrolled in the course. If you cannot communicate with others taking the same class, speak with family members or friends about course material you're studying. It is also helpful to regularly communicate with the course instructor. This will provide you with an opportunity to ask questions or discuss course material. Take advantage of forums and chat rooms pertaining to the course you are enrolled in. Students enrolled in online courses usually have access to online forums. Since this is the easiest way to communicate with fellow classmates, it's useful to take advantage of online forums. Students can encourage their classmates, ask questions, and arrange study sessions with other students living nearby in online forums. Many students use these forums to arrange online study sessions with other students. One way of staying motivated is by leveraging your social media circles to your advantage. Human beings are social creatures who enjoy being reward for their efforts. Like it or not, people are more likely to stay motivated when they feel that they’re recognized for what they’re doing. Social media can perfectly fill this need. On social media networks, people are already connected to friends and family. By posting their progress online, they can get a few pats on the back for all the work they’ve done so far. Even just a few congratulations can make a person feel better about the work they’ve completed, and that boost to the go may be all they need to continue working toward finishing their education. However, social media is more than just a way of finding recognition for one’s efforts. Social media can also be a means by which people are held accountable. By regularly posting progress and sharing it among their friends and family, people can keep their social circles updated on how well they’re doing. This naturally gets close friends and family involved in helping a person complete their work. When progress comes to a slow and updates start happening, these same people will often be the first one to ask questions and ask a person about how well things are going. Just these small requests for updates can help keep a person focused on completing their online courses. One of the most difficult parts about working from home is that it’s so easy to lose focus. In a traditional classroom, supervision makes it easier to stay focused on getting work done. This supervision comes not only in the form of instructors but also peers, who are particularly helpful in keeping students accountable when they’re working in group projects. For all of these reasons, staying accountable is one of the most important aspects of staying motivated when completing online courses. Fortunately, there is software that can help students stay on task and motivated in their work. One of the biggest distractions when working from home, for instance, is the lure of websites and social media destinations. Fortunately, you can now download plugin for your web browser that will prevent you from wandering away from your work and surfing over to a distracting website. These plugins can either limit the time you spend on these websites or block access to them completely. Other apps will the track the time you spend on any one task and help you identify where in your day that you’re getting distracted. This can help you better understand your own habits and devise strategies for staying focused throughout the day. One of the big pitfalls to studying from home is treating online courses like a vacation. People like to get comfy, slip into their pajamas, and relax while they’re tackling their online work. Unfortunately, this can cause people to get too comfortable. Instead of rolling out of bed and slipping into your most comfortable clothing, it may be more useful to treat your online courses a lot like a traditional course. To do that, you’ll have to structure your day so that you’re in a routine, just like you would be on campus. You’ll want to get into a rhythm of waking up at the same time every day, starting your online work at the same time, and finishing at the same time. Treat it just like a traditional course. You shouldn’t stop there, though. Ditch the pajamas and get dressed like you would for an actual course. Dress up just enough that you’re comfortable but also ready to go outside at a moment’s notice. Half of staying focused and motivated is creating an effective working environment. That means putting yourself on a schedule and dressing up for classes. It is true that you’ll want to treat your online coursework similar to how you treat your classes, but the one benefit of working home that you will want to take advantage of is the chance to take breaks. Breaks are healthy for you, both physically and mentally. Physically, you need to stand up regularly to stay healthy. Getting up is good for your circulation and helps keep your metabolism at normal levels. However, the true benefit of getting up and taking a break is the benefit to your mental state. Working at one task for too long can actually be detrimental. It leads to a loss of focus, makes it harder to get through work, and generally makes people miserable if they stay on one task for an excessive amount of time. Taking breaks every half or so can help reinvigorate your mind and get you back on task. When you take a break, stretch, walk around a little, and maybe get a drink of water. However, don’t let your break last too long. An ideal break lasts for no longer than ten minutes, and during that time, you don’t want to get lost in unrelated tasks that distract you more than refocus you. For that reason, you don’t want to get lost in unrelated tasks, like games or TV shows. Make sure that you get back to your work within a brief amount of time so that you stay focused on your courses. Fortunately, there are even apps that can help you limit your break time and get back to your work without too much of a delay. One of the most overlooked aspects of staying motivated is the importance of nutrition. It’s easy, particularly when a schedule is hectic and overstuffed, to pay attention to nutrition. What a person eats has a lot to do with how long they can stay focused on task, how quickly they learn, and the energy they have to get their tasks done. When nutrition is poor, people get tired more quickly and end up losing focus more quickly. At this point, the literature is everywhere about what people should be eating. Fruits and vegetables should form the core of any diet, followed by carbohydrates and, finally, meat and dairy. Going wild with junk food, sugar, caffeine, and carbohydrates can create spikes in your blood sugar and energy levels. This is then followed by an energy crash, during which it becomes harder to focus and stay on task. Eating a balanced meal is key to maintaining a consistent focus throughout the day. Some of the most underrated methods of stay motivated is by envisioning the future and encouraging one’s self. In many cases, staying motivated while taking a course, whether it be in-person or online, can be difficult. This is partly because passing a course often feels like an abstract goal. Obviously, people understand they should complete their courses, but they fail to connect completing the course with their future success. Part of establishing and envisioning the future involves connecting even mundane coursework with the end goal. These small, frustrating moments in a course can mentally be connected with a person’s vision of the future. People should establish for themselves where their education will eventually take them. Whether that means a successful, high earning career or a life of satisfied work in a small role, each student should establish their vision. Then, when they’re feeling frustrated with the day to day task of completing their coursework, they can encourage themselves by remembering that these small tasks are all leading up to the future they’ve envisioned. This simple mental connection can help students power through even the most discouraging moments of taking a course. An easy way to quickly burn out and lose your motivation for sticking with a course is by taking on too heavy of a workload and forgetting to attend to your own personal life. Multiple studies have shown the ill effects of a poor work-life balance. People begin to resent the organizations they’re working within, start to turn in poorer work, and generally lose motivation to stick with their tasks. In extreme cases, people may become so frustrated within their organizations that they simply quite altogether. This isn’t something that needs to happen, but it’s important for students to create a healthy work-life balance since nobody else will do it for them. Creating that balance has a lot to do with staying on schedule and establishing boundaries. Schedules aren’t just meant to get people to stay on task. They’re also meant to help people understand when it’s time to step away and give themselves a break. Spending excessive time in coursework and avoiding family, friends, and leisure time can quickly lead to burnout. It’s important to work within scheduled times and get away from work when possible. Students need to enjoy time outdoors, indulging in a hobby, or just being around friends. Without those, frustration quickly mounts and saps people of their motivation. It’s important as a student is making their way through their coursework to remember to step back and reward themselves for a job well done. The grind of taking a course can be frustrating, and the stress may mount over time. Students should break that cycle of stress by rewarding themselves when they succeed. Whether that means completing a difficult project or scoring well on a test, students should remember to take a step back and reward themselves for a job well done. Something as simple as this can provide a much needed break from the stress of coursework and encourage students to continue forward in their studies. By using these strategies and taking ownership in your online education, you can earn a powerful degree that will open more opportunities to you. Take full advantage of being able to work on your courses in a space and time that works best for you. Whether you earn your degree in person, online, or a combination of both, take pride in your accomplishment and seek out the new opportunities that await you when you finish!